I finished Silverpine Forest with my warlock this weekend. The story was quite good. I particularly enjoyed listening to Sylvanas early in the zone as she recounts the history of the Forsaken. There was nothing I didn’t already know, but it was an incredibly powerful speech that really gives a great idea of who the Forsaken are. Here’s a great video of the quest I found. I know that a lot of people seem to think the end of the zone contains the great story moment, and yes, that was cool too. (I won’t say what happens.) But it didn’t compare to this speech. We awakened the Paragons of the Klaxxi, so it’s only fitting that we put them down too. Tuesday we fought the Paragons for the first time. On our eighth attempt we managed to kill them. No loot for me, but as usual, I prefer progression over loot. We’ll be seeing Garrosh on Thursday hopefully. I might go shadow for the fight, which could be fun. 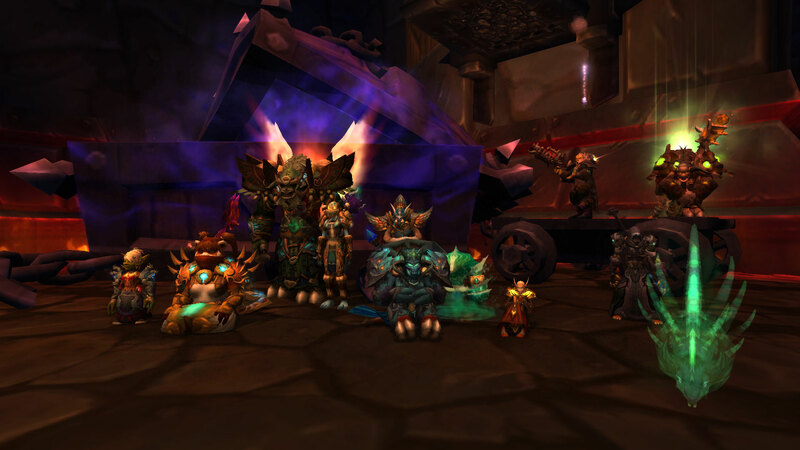 Our guild’s kill announcement can be found here. After a terrible LFR run last night, I wanted to do something new. Having never tried Proving Grounds, that sounded like an interesting thing to try. The bronze and silver healing challenges were very easy, but I couldn’t quite get gold. I felt a little better later when I read that it scaled gear. At first I thought I was failing even though I was so over-geared. I’ll have to take a look at how the scaling works later. If everything scales equally, then I definitely want more spirit. In my normal gear I cap my spirit pretty low compared to what I could have. We’ll see. I also tried the DPS Proving Grounds as disc. Bronze was ridiculously easy, but I was about a second or two short on silver. I’m pretty confident I can do it though! Of course, I could switch to shadow too, but I want the achievement for doing it in the wrong spec. Alright! 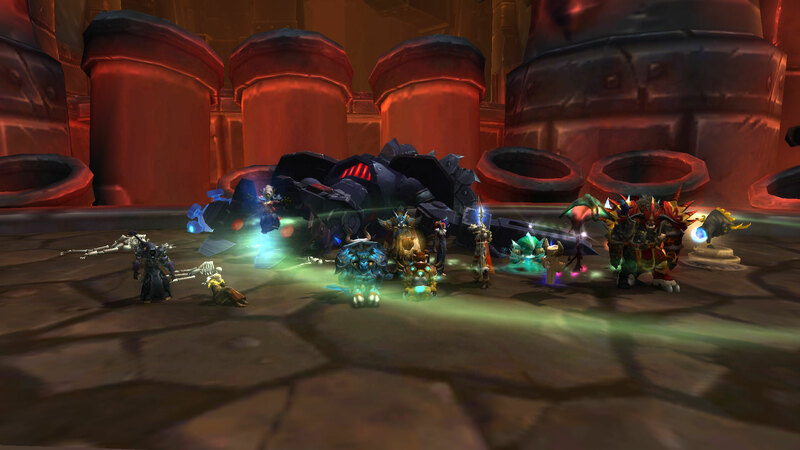 We downed Siegecrafter Blackfuse on Tuesday. Yes, maybe it took 21 attempts, but we killed him regardless. No loot for me, but I’m happy to be continuing forward. 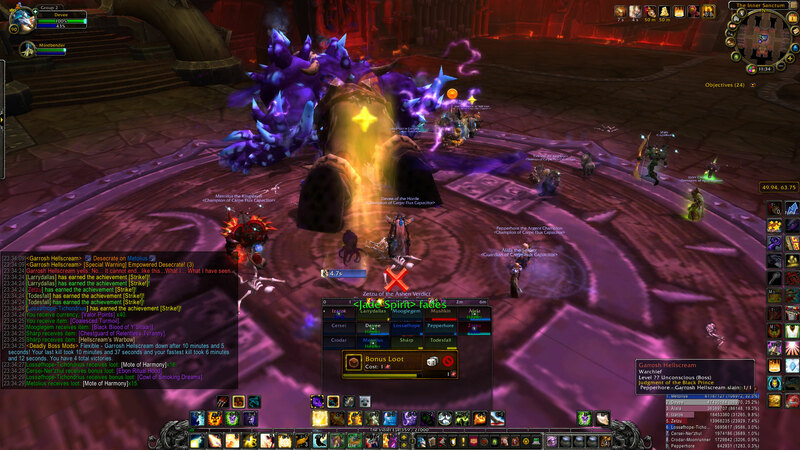 The Paragons of the Klaxxi seem complex yet, if LFR and flex’s trend applies in normal, easy. Will we get to see Garrosh Thursday? I’ll find out soon I suppose. Our guild’s kill announcement is here. We ran the fourth wing of flex on Saturday night, and I ended up having a blast. I grabbed a few PUGs at the beginning, but most of them left. We ended up with fourteen of us – all friends except for a single PUG. It was a lot more fun than joining a flex group of people I don’t know. Of course, it has its drawback; if you want to play with friends, you have to coordinate a time. I suppose that’s a big trade-off in WoW all the time. One of our hunters got the heirloom from Garrosh, and our undergeared players all got some loot from the wing. I wouldn’t mind doing this more in the future.